Carla Creates: Spring . . . Here at Last! Spring . . . Here at Last! We have a new song up on our spring-themed playlist this week at Scrap it With a Song. The selection is "Spring Fever" by Elvis Presley! Have to love the classic Elvis tunes! I pulled out CTMH's special Dotty for You pack for this layout - available only until the end of May! 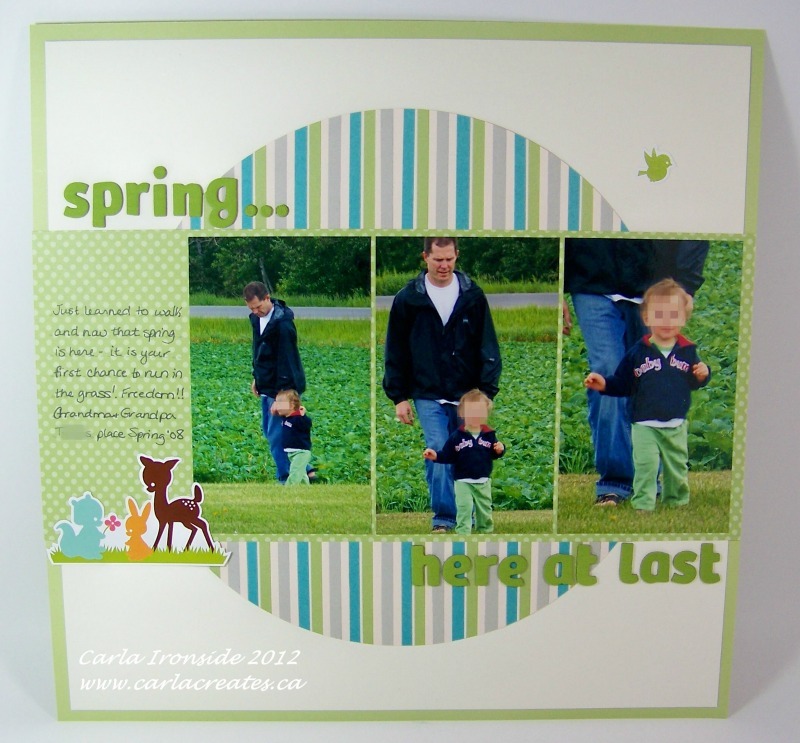 Layout design was inspired by the April sketch over at Canadian Scrapbooker. Hope you will join us at Scrap it With a Song this month - - would love to see how our spring-themed songs inspire you! Love this, love those critters! This is so cute! I love the little animals and the photos are so adorable. Great layout Carla, I love the design of this a lot.